Welcome to Kerala - the Land of Green Magic!! Kerala is a narrow, fertile strip on the south-west coast of India, sandwiched between the Lakshadweep Sea and the Western Ghats. The landscape is dominated by rice fields, mango, cashewnut trees and coconut palms. The Western Ghats, with their dense tropical forests, misty peaks, extensive ridges and ravines, have sheltered Kerala from invaders, but at the same time, have encouraged maritime contact with the outside world. People from distant lands have been coming to Kerala since ancient times. They came in search of spices, sandalwood and ivory. Long before Vasco da Gama led the Portugese to India, the coast had been known to the Phoenicians, the Romans, the Arabs and the Chinese. Enduring contact with people from overseas has resulted in the successful blending of various cultures, which gives the state a cosmopolitan outlook. 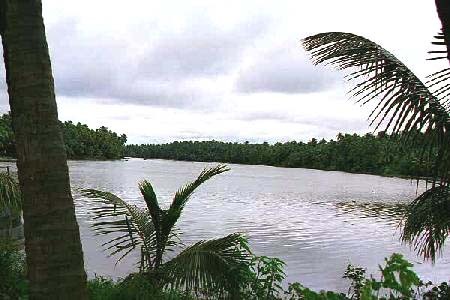 The present-day state of Kerala was created in 1956 from Travancore, Kochi (Cochin) and Malabar. Malabar was formerly a part of Madras State, while both Travancore and Cochin were princely states ruled by maharajas. An early concern for public welfare gave Kerala a head start, and resulted in the state being one of the most progressive, literate and highly educated states in India. For the visitor, Kerala offers an intriguing mosaic of cultures and some unusual ways of travelling around. Perhaps more than anywhere else in India, getting around can be a lot of fun, particularly on backwater trips along the coastal lagoons. It also offers some of the best and most picturesque beaches in India, the one at Kovalam, south of Thiruvananthapuram, being the most popular. Kerala has an amenable, relaxed atmosphere making it a much sought after tourist destination. Day 6 : Sightseeing in Thiruvananthapuram . Proceed to Kovalam. Day 8 : Excursion to Padmanabhapuram palace, Suchindram temple, Kanyakumari. Return to Kovalam. Day 9 : Excursion to Neyyar dam, Ponmudi. Return to Kovalam.